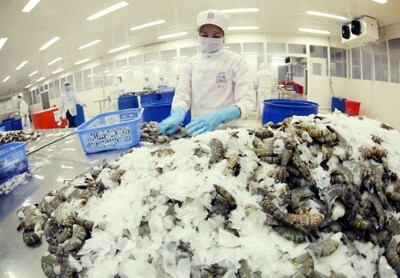 Total export turnover from the Republic of Korea (RoK) to Viet Nam was estimated at nearly US$ 48 billion, accounting for over 8 per cent of the country’s total export turnover, the Korea International Trade Association (KITA) reported. The KITA reported on January 18 that in 2017, the figure was impressive in comparison with 2014 when the RoK’s exports made up only 4 per cent in Viet Nam. Viet Nam became one of the ten largest exporters of the RoK in 2009 with a total export turnover of over US$ 7 billion. In 2015, Viet Nam surpassed Japan to become Top 3 largest export markets in the RoK. The RoK constantly ran a trade surplus with Viet Nam over the past recent years, specifically US$ 10 billion in 2012; US$ 20 billion in 2016, and over US$ 31 billion in 2017. Analysts attributed the good performance to the effectiveness of the bilateral trade agreement which took effect since December 2015 and the confidence of Vietnamese customers in Korean large-scale giants including Samsung and LG. The RoK’s key exports to Viet Nam included semiconductor materials, flat screens, touch sensors, and mobile phones.